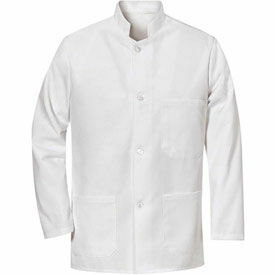 Buscoats Bring A Professional Touch To Uniforms For Restaurant Bussers. Buscoats are made with a white Poly/Cotton blend and four pearl buttons, and feature two lower pockets and one left chest pocket. Buscoats come in sizes ranging from XS to 2XL. 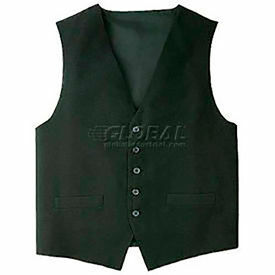 Wait Staff Vests Bring A Refined Look To The Uniforms Of Waiters And Waitresses. Wait Staff Vests are made with a poly/cotton blend and feature a four-button front. Vests include a left breast pocket and two lower pockets. Choose from a variety of colors. Wait Staff Vest sizes range from S to 3XL.